I apologise for being so late with this post. 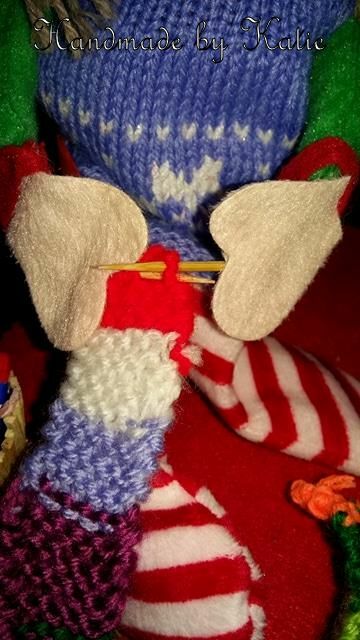 I mentioned on Thursday that Louis was going to school with Ryan on Friday for Christmas Jumper Day, so Thursday night he was securely tucked into Ryan's school bag, leaving his girlfriend on her own. 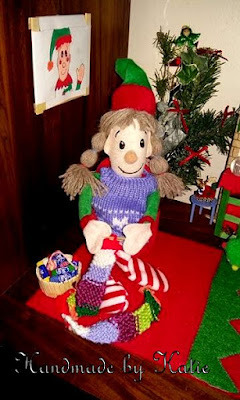 She decided to take things easy and use this opportunity to get on with her knitting project. Her knitting needles are made from a pair of chop sticks. 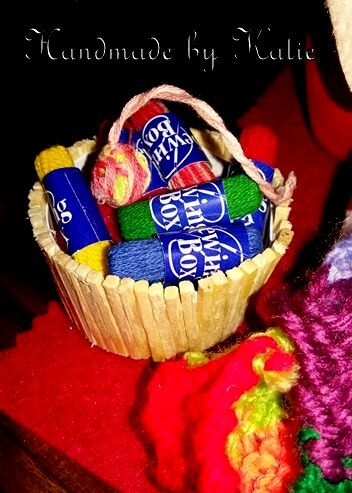 My niece made her knitting basket from matchsticks, I just adore those tiny balls of wool in her adorable basket. I can't help wondering what Louis thought of school?